Although summer camps have been popular in the United States for more than a century, it was only several decades ago that they have gained popularity in the UK. Summer has always been a great time for kids, especially in the UK, since these two months are the hottest and most exciting time of the year. This is a grand time to be outside, meet new friends, be with your mates and learn new skills. I know this because I used to look forward to camping out with my mates at the end of each school year. Now that summer will be in a few months, I find this an opportune time to check out some of the best summer camps for kids in the UK. 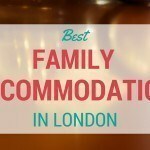 Located in London, this is the go-to summer camp destination for your kids, from ages 3-17. 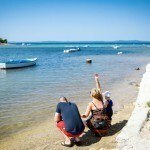 What is great about this is that your boys and girls will not only enjoy specialised camping activities for kids in the summer, they can also enjoy the finest holidays any time of the year. The XUK was founded by the Bernstein brothers and they have decided to create an environment that will fit different personality types. So, whether your children are into sports, the arts or theatre, they will have something to do. Do you have a teen kid who loves to engage in physical activities? This is one of the summer camps in the UK that offers water and land activities. While making new friends and learning useful skills, he or she will also be experiencing independence and boosting his or her self-esteem while enjoying fun activities such as high ropes, water sports and climbing, among others. Located in Long Loch, Scotland, this adventure camp should be included in your list. Not only will your kids be with other children, they will also enjoy awesome activities such as climbing, canoeing, fishing and fashion shows. Talk about versatility and sheer fun. What’s interesting as well is the place is similar to the setting of Lord of the Rings and is close to nature. Its name says it all. 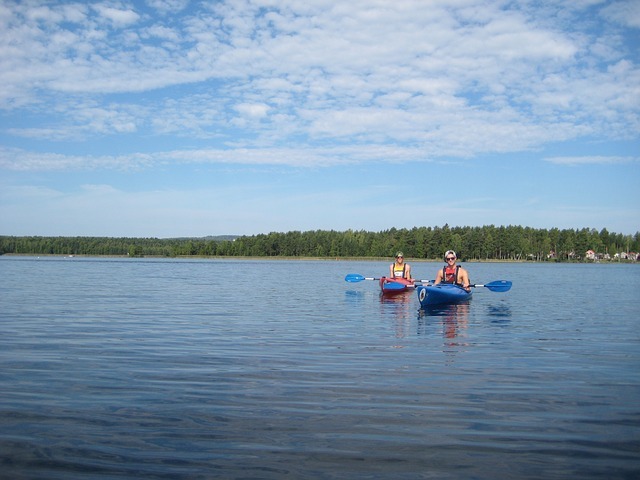 Just as most of us enjoyed water sports and campfires, your kids will love the activities while at camp. Located on the West Sussex coast, young children will be taught how to swim while teens who are already swimmers can perfect their form. Other camping activities for kids include sailing, kayaking and sand boarding on the sand dunes! They also offer residential camps in summer and in February half-term holidays, children ages 6-13 can also spend the week outdoors at the camp. Kids can also enjoy bike rides and horseback riding. You guess it right! This particular summer camp offers your kids an experience they can take with them as they grow up. This is because the camp is for campers from the UK and other countries. Here, they will be learning and interacting with kids from other parts of the world, making camping for kids not only an adventure but a cultural experience. There is always a first time for kids to experience summer camps. If your children are spending summer in a camp for the first time, this is the best way for them to get a taste of what it’s like to enjoy camping activities for kids even for a day. This will let them test the waters, so to speak, before signing up for a week. So, if you are wary if your kids will last for a week on their own with other campers, this is the summer camp to consider. Located in Bruton, Somerset, Mill On The Brue was founded by Tony and Tricia Rawlingson Plant. You and your kids will love this place sprawled on a magnificent estate in Hampshire. Also, who wouldn’t love horses? 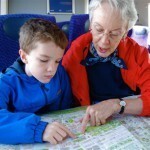 This British-Society approved residential holiday camp caters to all ages and riding levels. Whether your child is a beginner or an advanced rider, this is the perfect summer destination to enjoy. Just like you and me, our children are only kids once and it is utterly important for them to enjoy being young. What better way to do this than by learning new skills while having fun? Summer camps are the best places to make the most of your kids’ time off from school. 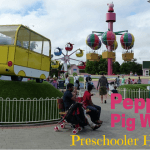 Kid Heaven at Paultons Park’s Peppa Pig World! Sarah is an avid traveller who likes to share her tips and tricks on Where's Sharon. Do you know anything about summer camps outside of the UK? I’ve been referred to Smaller Earth http://www.smallerearth.com/uk/new-zealand/ by a few friends in the past, have you heard of them? In a right mind to run away from the UK and sign up in the wake of the referendum! Could you create a post on the best ways to escape England altogether?